42 years, 11 months, 29 days old age. Sarfaraz Khan will turn 43 on 22 April, 2019. Only 1 days, 22 hours, 3 minutes has left for his next birthday. Sarfaraz Khan has celebrated the total number of 42 birthdays till date. See the analysis by days count and bar graph. Sarfaraz Khan was born on 22-04-1976 in Mumbai in the state of Maharashtra, India. He is an Indian Film Actor, Television Actor, Television Producer & Television Director who known for his work in Bollywood. Since he was born in a filmy family, his love for films came naturally. Prior to becoming an actor, he did theatres for several years. In addition to acting, he also directed some theatre plays. He directed some of the most famous theatre plays like Local Train, Badi Der Ki Meherbaan Aate Aate and Best of Luck. He also produced play called Taash Ke Patte. Besides Hindi, he also produced Gujarati palys such as Saubhagyawati and Raja The To Bhare Kari. He also assisted his father in several theatre plays though his father was not interested in him joining the film industry. After spending a considerable amount in theatres, he finally made it to the big screen. Though, he made his silver screen debut way back in 1994 with the film called Shatranj in 1994. 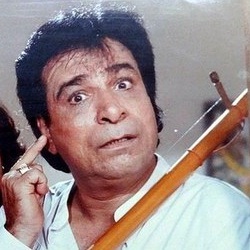 He played the child role of Kader Khan in that film. He made his full-fledged debut with the Hindi film Kya Yahi Pyaar Hain in 2002. He was in the film with a supporting role, He rose to fame after playing the role of Aslam in the Salman Khan starrer film Tere Naam. The film was a huge hit and it also helped him get noticed. He worked with Salman Khan again in his film Wanted. 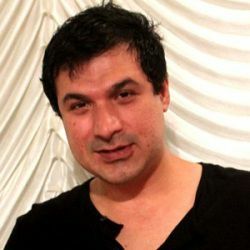 Besides that, he has played supporting roles in several Hindi films such as Kissan, Milenge Milenge, Once Upon a Time in Mumbaai Dobara and Ramaiya Vastavaiya among others. In 2012, he along with his brother and father has established a theatre company called Kal Ke Kalakar International Theatre Company. He is the son of legendary Indian actor Kader Khan. His younger brother Shahnawaz Khan is also an actor.